Balancing liberty and security is one of the great challenges of this century. In this open article to FBI Director James Comey, ZDNet Government’s David Gewirtz explain why Americans demand both. most Americans believe in the whole freedom thing. They believe in privacy. They believe in protection from unreasonable search and seizure. These values have been inculcated in all of us since our diaper days. To many people, America IS freedom and privacy. Or, at least, it should be. we have to be capable of holding two opposing concepts in our minds at once. On the one hand, we need surveillance and security to protect our citizens. On the other hand, we’re America in large part because we distrust and protect ourselves from surveillance and unreasonable invasions of privacy. Although there is currently no indictment or pending criminal charges against Rubin and his friends, state authorities have indicated that they believe the researchers may have violated state laws. The case marks a disturbing trend among authorities to go after researchers, innovators, tinkerers and others who try to do cutting-edge projects to help the tech community, says EFF staff attorney Hanni Fakhoury. Ads, I will argue, don’t work by emotional inception. 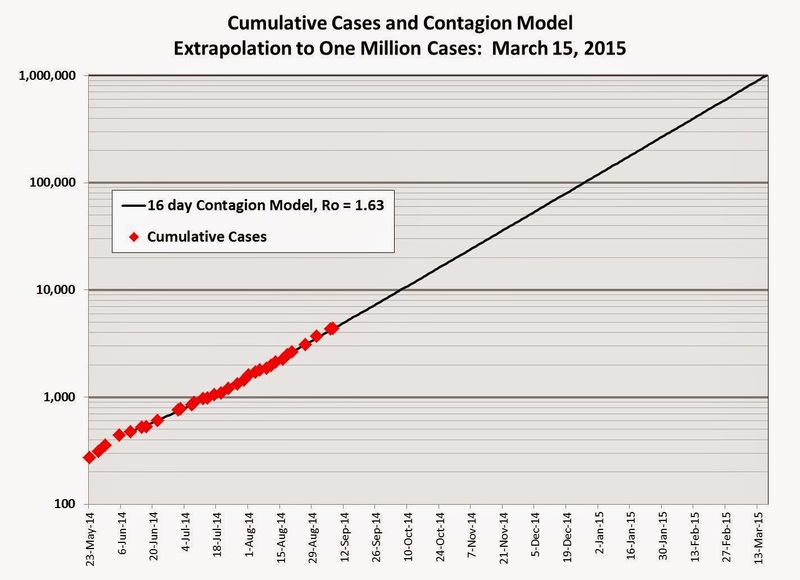 Extrapolation of the current trend shows that massive numbers of people could become infected in a short period of time. 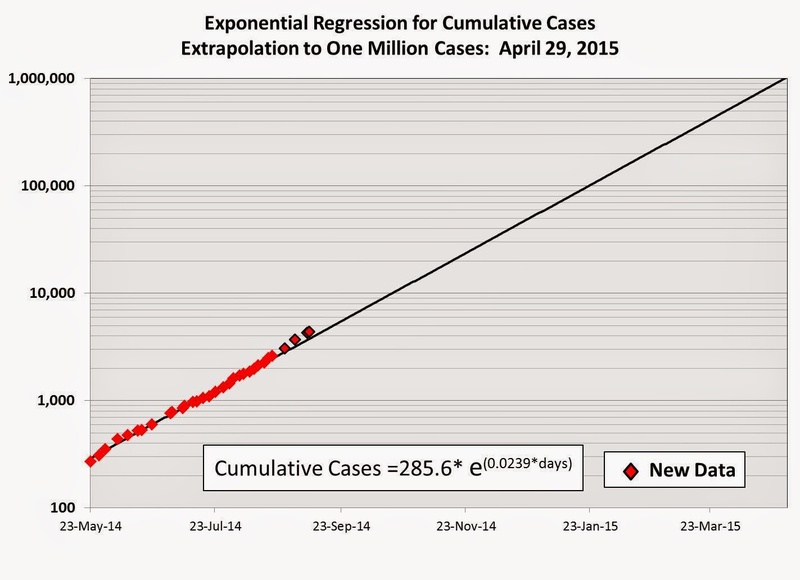 The cumulative number of cases is doubling every month. The process employed by WHO in West Africa is the same process used successfully to combat previous Ebola outbreaks. The process is straightforward, but labor-intensive. … Clearly, as the number of Ebola cases rises, the ability to contain the epidemic becomes more strained. As the disease grows exponentially, the required staffing also grows exponentially. … The window for successfully containing the epidemic is rapidly closing. At some level of contagion, social order will break down entirely. At that point, treatment of cases will become difficult or impossible; clear data about the status of the epidemic may disappear. The likelihood of your developing Alzheimer’s more or less doubles every five years past 65. Should you make it to 85, you will have, roughly, a fifty-fifty shot at remaining sane. In 1900, about 4 percent of the U.S. population was older than 65. Today, 90 percent of all babies born in the developed world will live past that age. Barring a miracle cure, or some kind of Stand-esque superfluenza, dementia will become the public health crisis of our time.